TS 10th class results of annual examinations released on 3rd May 2017 at 4 PM. Telangana Education minister was released ts ssc results 2017 at secretariat auditorium also released the pass percentage for the district wise. It is available on official portal. 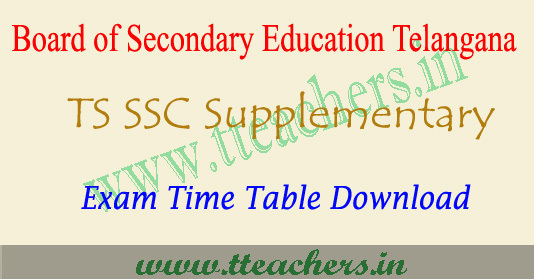 Candidates who did not pass their TS 10th class regular March 2017 examination can get this TS SSC Supply timetable 2017. The 10th board is planning to conduct the supplementary exams between the 5th June 2017 to 19th June 2017. 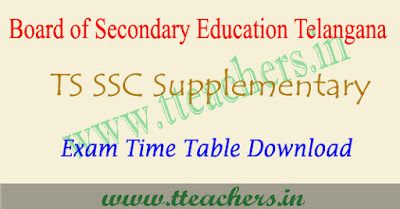 So candidate see the complete time table with date and subject wise from the following table. The Objective paper in the subjects in which they are given have to be answered in the last half-an­ hour only. All the Academic course subjects /Papers ate common for both sse Academic course, and ossc Course candidates. The performance of the candidates who answer wrong combination question papers will be cancelled. Hence the candidates are held responsible for demanding I answering wrong question papers.